When you study psychology you quickly discover that the universal symbol for the discipline is the pitchfork shaped image like the ones in the picture below. Now while this is great for short hand purposes i.e. drawing the symbol rather than having to spell out the word psychology in full, have you ever wondered about where the psychology symbol originates? 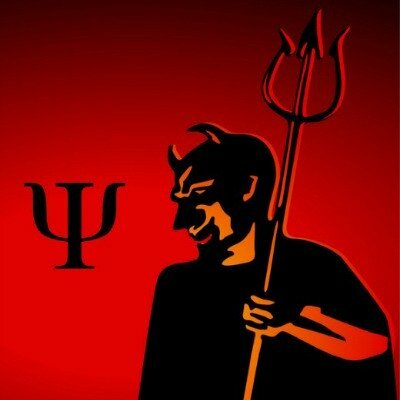 One interesting but incorrect suggestion is that the psychology symbol is somehow related to the trident carried by the devil. The theory goes that because mental illness was historically seen as the work of the devil, psychology by association was considered diabolical; and in an irreverent display of defiance, psychologists adopted the trident pitchfork shape as their official symbol. To discover the origin of the psychology symbol, you simply have to trace its etymology (word origin and sense development). 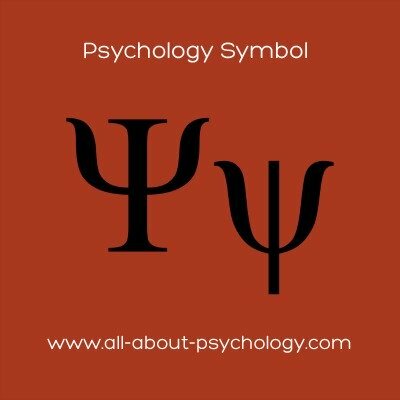 The symbol for psychology represents the penultimate letter of the Greek alphabet, psi, which is also the first letter of the Greek word psuche, meaning mind or soul, from which the term psyche arose; which in turn gave us the name of the discipline psychology which is most commonly defined as study of the mind. Perhaps the devil is in the detail after all!